When it comes to bitcoins, a wallet is equivalent to a bank account. Your digital wallet is where you store, as well as receive and send bitcoins. There are mainly two types of bitcoin wallets: a web wallet and a software wallet. Each of these wallet types have their pros and cons, and the choice will depend on your requirements for a bitcoin wallet. This article will guide you on how to setup a bitcoin wallet. The original bitcoin wallet designed was the software wallet. There are various types of software wallets. With the software wallet, you’re in complete control of the security of your coins, and you don’t need to create bitcoin account. Installation and maintenance are the most significant problems of the software wallet. On how to get a bitcoin wallet, many Bitcoin users attest that the best wallet software to get is the original bitcoin wallet called Bitcoin Core. This wallet has highly evolved and undergone a lot of diligent work since its initial development.To download the application, visit Bitcoin’s website, bitcoin.org. This application is compatible with Windows, Mac OS, and Linux OS. After installing the software, the bitcoin client will attempt to secure a network and start downloading and checking the integrity of blockchain. All the blocks in the chain must be complete for the transaction to be fully verified. There are many wallets similar to the original wallet, but they all have their specific functions, installation quirks, and drawbacks. For example, Hive, which is specially designed for beginners is only available on the Mac operating system and incorporates an app store that connects to other bitcoin exchange services. Armory, on the other hand, is a wallet that is explicitly created for enhanced security. Some wallets consume less space on your hard drive. These lightweight wallets work at a faster speed because they don’t download the whole blockchain. It makes use of only a small part of the blockchain at a time, making it faster. Some renowned lightweight wallets are Electrum and Multibit. However, it is worth noting that these wallets are not as secure as the wallets that use the full chain blocks. When it comes to getting bitcoin wallet online, web-based wallets save your private keys on a server managed by an admin group online. 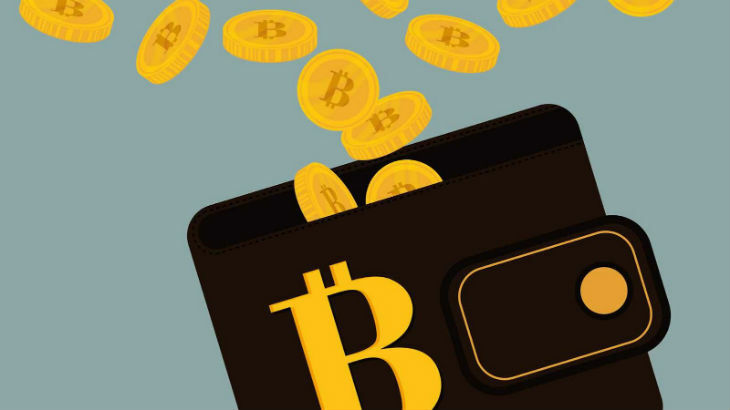 Web-based wallets can be accessed anywhere, making this type of wallet a popular choice.Be aware, however, that the website that offers this wallet is in charge of your keys and can decide to take the access to your bitcoins away from you.Many web-based wallets have experienced security breaches in the past. Be aware of the risks before deciding to go with this type of wallet. Many wallets maintain security for their clients. Some of the available servers that have been in service for a while now are Circle, Coinbase, and Xapo. Coinbase services are used globally, and it offers Bitcoin exchange services between the US and Europe.Circle only lets US citizens connect their local bank accounts to deposit fund. Users in other countries can use debit/credit cards. Xapo is a very simple wallet that is user-friendly and incorporates an extra security system referred to as a cold-storage vault. Anonymous users often get attracted to the world of bitcoin for several reasons.Some of these anonymous wallets are not as secure as other types and don’t offer much regarding insurance. The most popular anonymous wallet is Dark Wallet which operates as a chrome extension. These types of servers are highly unstable for your digital coins. The server could become vulnerable to hacking at any moment. Just like the fast cash out module, some of the features of anonymous wallets a very appealing. If you are overly protective of your finances, or you don’t want to go through the stress of learning how to make a bitcoin wallet or create online bitcoin account, a hardware wallet might be your ideal wallet. Hardware wallets are physical gadgets that store private keys electronically and facilitate transactions.These wallets save you the hassles of keeping funds in a third-party’s storage and can be carried on your person.These wallets are not susceptible to types of Trojans and viruses that affect software wallets. Many hardware wallets vary in quality and price range. Here are some of the top hardware wallets:Pi Wallet utilizes cold storage and cannot work wirelessly. It applies Armory’s client which makes it secure while not demanding you set everything up yourself. Pi Wallet is a safe and easy to use hardware gadget.Trezor is comparable to Pi but displays information on a small screen. The device generates the private keys and the keys can’t leave it, making it susceptible to malware.USB wallets are cheaper devices and are therefore very. These devices secure your data and utilize similar microprocessor chips that credit cards use. These typically let you go between different computers and your device will create a secure connection. Upon initializing, most devices require an encryption code or password. If your hardware gadget doesn’t, you can add encryption to ensure the security of your wallet. Each hardware wallet has a separate protocol for setting secure encryption.